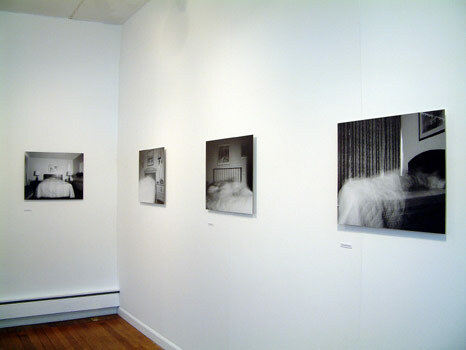 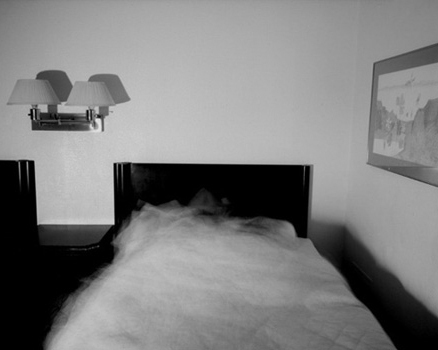 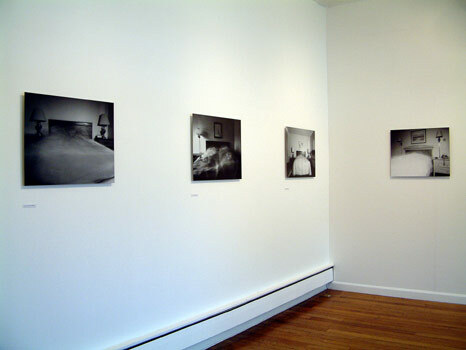 8 Hours The images each record a night’s sleep in different budget motels in the USA during the artist's honeymoon in 2001. 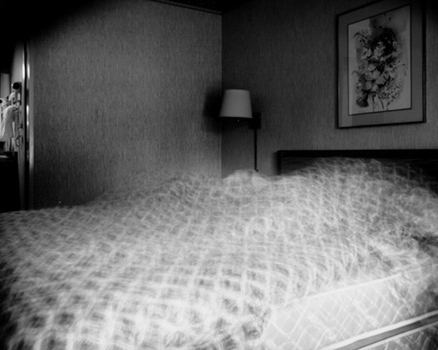 The exposure time of the photographs is 8 hours. 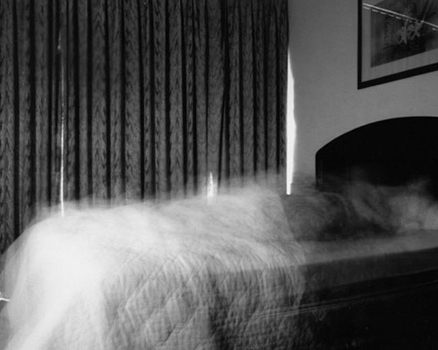 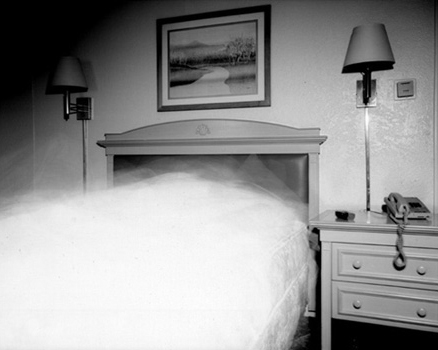 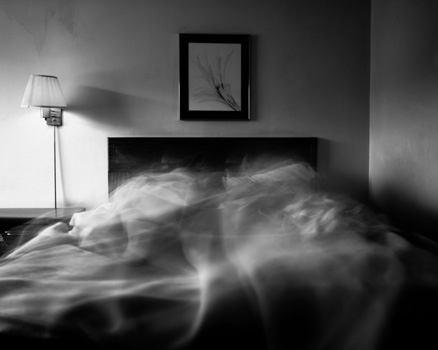 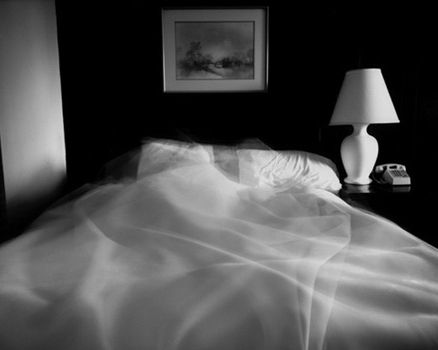 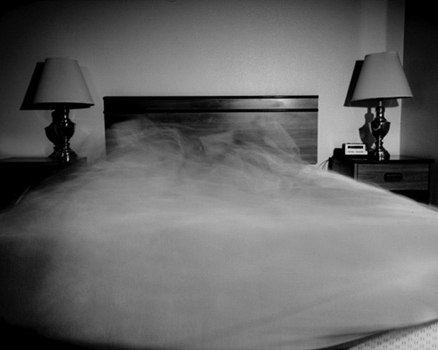 The movement of the sleeping figures appears as vapour trails across the beds. 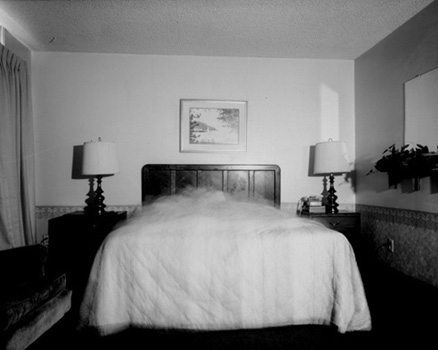 The large 10x8 negative records every detail of the sparsely decorated rooms, strongly contrasting the blurred movement of a night's sleep.